BookDrive Capture and BookDrive Editor Pro are now fully compatible with Windows 7. I’m thrilled to announce that both BookDrive Capture and BookDrive Editor Pro are now fully compatible with windows 7 (both 32 bit and 64 bit versions). BookDrive Capture version 3.2.3.1 can be download here. BookDrive Editor Pro version 4.1.4.0 can be download here. Keep the feedback coming, we are continue to improve and enhance user experience and evolve our products. ORLANDO, FL–(Marketwire – October 15, 2009) – Atiz Innovation, Inc., the leader in content digitization, will showcase its latest book scanning solution, BookDrive Pro, this week at the ARMA International Conference and Expo in Orlando, Florida. From deeds to books to legal documents, BookDrive Pro addresses the difficulties associated with records and information management by using a simple scanning method to digitize important documents. Additionally, BookDrive Pro’s affordable price point lowers the barrier of entry for many of those tasked with digitizing bound content. ARMA International is a not-for-profit professional association and the global authority on managing records and information. It is known worldwide for setting standards and best practices, and for providing comprehensive education, publications and information on the efficient maintenance, retrieval and preservation of vital information created in public and private organizations in all sectors of the economy. Until now, scanning bound content could be a difficult and cumbersome task, producing results that were not high in quality. Atiz, whose products have scanned more than 3 million books worldwide, is helping those tasked with digitizing bound content get the job done at a price point that they can afford. “From service bureaus, deed registries and archivists, to enterprise data managers and government entities — everybody has bound content that needs to be scanned,” noted Nick Warnock, president of Atiz. “BookDrive Pro gives organizations the ability to handle their digitization projects themselves, allowing them to choose what is scanned as well as control the sometimes sensitive content — all while saving money by not having to outsource these projects.” Service bureaus in particular are benefitting from the use of BookDrive Pro, including Advanced Micro-Image Systems, IMR Digital, Kellpro and Scantiva. Atiz’s innovative approach utilizes high performance SLR cameras as capture devices, making BookDrive Pro the best value proposition in the industry, as it will never become obsolete. When new, improved camera models become available, users need only to replace their cameras — not the entire scanning system as is the case with other offerings. Further setting it apart from competing offerings, BookDrive Pro has the ability to scan oversized books — up to A2, newspaper size — and heavy, cumbersome items such as deed registries. In addition to book spine damage and low productivity, conventional or overhead scanners also produce curved page images and rely on software to correct resultant curvature problems. This approach has proven to produce poor, often unreliable results. Atiz has taken a different approach, and BookDrive Pro eliminates the need for page curvature correction, making it faster and less expensive than other offerings. The combination of a v-shaped book cradle and transparent platen which sets the book in an angled position for scanning by high-speed, high resolution digital SLR cameras is a unique design that guarantees sharp, flat-looking pages in every scan. Included with BookDrive Pro is Atiz’s proprietary software package: BookDrive Capture and BookDrive Editor Pro. BookDrive Capture allows for the simultaneous capturing of images. The software supports SLR cameras manufactured by Canon. BookDrive Editor Pro allows for image editing functions such as the ability to batch crop, deskew, despeckle, color adjustment, TIFF conversion, and the output of eBooks in PDF format. Please visit www.atiz.com to learn more about BookDrive Pro. Founded in 2005, Atiz is a privately held company headquartered in Los Angeles, Calif. In support of the global effort to create a universal library of all human knowledge, Atiz is focused on providing digital solutions to capture books and other documents, preserving them for generations to come. After intense research and development, Atiz successfully developed its first revolutionary product, the initial iteration of BookDrive. A winner of the 2009 Red Herring 100 award, Atiz has a strong market presence in the education, library and government sectors, with customers ranging from UCLA, Conjuring Arts Museum (NY), Hampden County Deed Registry in Mass., Los Angeles Public Library, and Miami University of Ohio to name a few. Please visit www.atiz.com for more information. Bangkok, Thailand – Atiz Innovation Co., Ltd., today announced that it has been selected as a winner of the Red Herring 100 North America Award. The Red Herring editorial team deploys a detailed process to whittle down a pool of 1,000 eligible, promising companies to the 200 Finalists and in a last round decided for the top 100 winners of this important North American award. Evaluations are made on both quantitative and qualitative criteria, such as financial performance, innovation, management, global strategy, and ecosystem integration. The Winners, elite executives and venture capital leaders from North America will celebrate the Top 100 Privately Held Companies in San Diego, May 11-14, 2009. “We are hornored to receive this award” said Nick Warnock, CEO. The creation of digital libraries is becoming a top priority for the library sector. Making information readily accessible and preserving and protecting it for generations to come is a considerable undertaking, as only a fraction of the written materials produced over the history of time exists digitally. As one of the key players in the book scanning industry, Atiz has helped hundreds of libraries worldwide scan millions of books. With approximately 500 BookDrive units in place worldwide, Atiz anticipates this number to double in 2009. Red Herring is a global media company, which unites the world’s best high technology innovators, venture investors and business decision makers in a variety of forums: a leading innovation magazine, an online daily technology news service, technology newsletters and major events for technology leaders around the globe. Red Herring provides an insider’s access to the global innovation economy, featuring unparalleled insights on the emerging technologies driving the economy. More information about Red Herring is available online at www.redherring.com. Visit www.atiz.com for more information. Carnegie Mellon University in Qatar purchase BookDrive Pro for their Heritage Library Digitization Pilot. The quest to turn the pages of every last book on the planet into data — redundantly stored and universally accessible — sounds noble enough. However, technological issues stand in the way. Not the least of them is the problem of deciding on a universal format for the world’s digital library. The older bits of the world’s accumulated knowledge, bound together in volumes of printed books and magazines, are slowly disappearing. Out-of-print renditions often disappear forever. Libraries with limited shelf space often replace seldom-used titles with newer tomes. A far smaller portion of printed matter makes it to page-scanning processes for preservation in digital form. In the race to build a universal digital library, many important books and documents are being left behind: special edition books, religious books, historical documents, and books found in small local libraries or in private collections. Left undigitized, the information inside them will fade as the paper deteriorates. Despite the best efforts of organizations intent on creating exhaustive digital libraries of all human knowledge, their projects are still too fragmented to produce a reliable, universal, digital repository of all printed goods. Often, corporate decisions and budgetary considerations mean books are left behind. Google’s (Nasdaq: GOOG) Book Project and Project Gutenberg are two of the more well-known efforts to convert the printed page to a digitally viewable form. Usually, large libraries and university research directors form alliances to take on the challenge of digitizing their own collections. Their ‘leave no book behind’ mentality is filtering down to smaller businesses with limited revenue, driven by improvements in scanning and storage technologies. This is creating a balance of power, so to speak, that allows those without the reach and capital of Google to join in the digitization movement. “People are doing this with scanners of all kinds. Hardware is getting cheaper and better. Nowadays, a lot of it is done with digital cameras. They have high enough resolution today to give very good results. It’s almost like going back to the microfiche days,” John Sarnowski, director of The ResCarta Foundation and director of Imaging Products for Northern Micrographics, told TechNewsWorld. Northern Micrographics is a service bureau that converts paper and film into electronic format. The company has been digitizing printed pages since the early 1980s. In that time span, Sarnowski has observed a big misconception about how the process works. Contrary to popular belief, the job of converting from physical page to digital screen does not end with the scanning or camera image. That involves a detailed process of making the pages match. For instance, you cannot have all the pages in digital form listed in the obscure number that the scanned file or camera image usually generates, such as 00001.scn. Page inserts, titles, author, and other data have to be coordinated in the finished digital product. That’s been the problem since day one, and it’s what the technology has to overcome, according to Sarnowski. Another part of the problem in digitizing printed books into electronic media is the end-user format. There is no standard protocol for viewing digitized conversions so that anybody with access can read them. For example, in 1994, Sarnowski’s company got involved with Cornell University and the University of Michigan on one of the earliest digital conversion projects in the United States. Ocular Character Recognition (OCR) initially cost US$14 per page, but as the technology got better, the cost dropped. At the end of the three-and-a-half-year project, it was down to a few cents per page. When the company asked school officials how they wanted the data back, the officials responded, “How would you like to send it back?” said Sarnowski. “There were no standards then. There still aren’t. The library people at Cornell didn’t know how to extract the data out of their database system so we could integrate the digital pages. We had to work out all of those details,” he explained. The Internet is not a true solution to providing universal access to a digital book library, either. Standardization does not always exist on the Web. To see the problem, think of the digitizing process in terms of other technology. For instance, you can put a sound file in an MP3 player anywhere and it works, as there is only one standard. Not so with DVDs. Different parts of the world have regional codecs with their own file formats for video. The same lack of universal standards plagues those working to create a universal digital book library. “The big problem at every major research center, including Google, is there is no standard for dealing with digital pages. To this day, we still do not how how Google is storing the book data and what their format is,” Sarnowski said. Some publishers start out in the digital form, so printed books do not have to be converted. While this approach does not solve the problem of saving books left behind, it at least does not add to that problem. In the case of publishers such as Springer Publishing, authors must now submit their manuscripts in Microsoft (Nasdaq: MSFT) Word or a similar software file format. The company publishes all of its collections in both PDF (Portable Document Format) and XML (Extensible Markup Language). “We did digitize all of our journal collections all the way back to the 1840s. We sent the physical pages to a vendor who made them available digitally through a scanning process. Somebody was inserting the metadata during that process,” George Scotti, global marketing director at Springer, told TechNewsWorld. Singer Publishing does not worry about intellectual property theft involving its easy-to-get digital library offerings. The collection is not mainstream reading. Still, it is available on Amazon’s (Nasdaq: AMZN) Kindle e-book reader and other such devices. Singer specializes in publishing scientific research. Since researchers already do most of their work online, the company’s customers are usually familiar with the electronic format, according to Scotti. “We have a very liberal DRM (digital rights management) policy. Once you buy the content, you can do whatever you want with it. We’ve only had a few cases where it was a problem putting it on a Web site. But it’s not causing us a great deal of concern,” Scotti said. Another solution in the digital mix, offered by Atiz.com, could be ideal for small companies and individual authors who want to preserve their printed pages digitally. As long as the user owns the copyright, there is no legal entanglement, according to Atiz President Nick Warmock. The company’s biggest customers include academic libraries around the world, municipalities for deed registries, students and service bureaus. Three of Atiz’s products give consumers and small organizations an inexpensive device to make their own decisions on what to preserve digitally rather than going through outside services like Gutenberg and Google. In 2006, Warmock partnered with an associate who invented a way to have a mechanical arm turn the pages of books being scanned. The resulting BookDriveDIY (Do It Yourself) includes the cameras, mechanical setup and proprietary software. A related product released in 2007, BookSnap, targets students and others who want to digitize reams of notes. Atiz released BookDrive Pro in January of this year. The product prices range from $1,595 to $15,000. “We envision one day having a searchable repository for all digitized content. But that hasn’t been worked out yet. The power of such a universal library would be incredible. We’d like to get involved in that project, but too many things would have to be worked out,” Warmock told TechNewsWorld. The encumbrances blocking a single set of standards — and the financial costs associated with forming a universal digital library — may be solvable, according to Sarnowski. He heads the ResCarta Foundation, a nonprofit organization established to encourage the development and adoption of a single set of open community standards for digital document warehousing. Northern Micrographics, partially in conjunction with the foundation, promotes an open source raster format. The company offers open source tools free to download in an effort to encourage the use of a standardized data format. The strategy includes working with metadata standards and the same standards the Library of Congress uses. “We’re fighting for the long-term preservation of data. We’re fighting to stop the loss of original data. It’s been an uphill battle for five years to convince people at large institutions to adopt our system. We’re waging a guerrilla war. We’re saying, do it this way,” said Sarnowski. BookDrive Mini – Huge Performance, Compact Size. BookDrive Mini solves all problems found in book scanners. 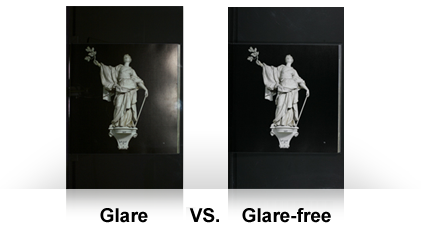 Problems of conventional scanners are page curvature, damage to book spine and low productivity. BookDrive uses a different approach called a V-shaped solution. 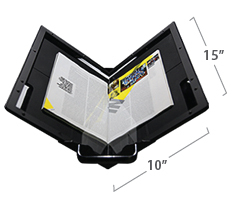 The combination of V-shaped book cradle and V-shaped glass holds the book open at a non-stressful 120-degree angle for scanning by hi-speed, hi-resolution digital SLR cameras. This unique design guarantees sharp, curvature-free images in every scan. Books, magazines, journals, or any bound documents up to A4 size. BookDrive Mini accepts all kinds of books and is perfect for your invaluable, frail, old books. Simple Scanning Solution Enables Digitization and Management of Bound Content — Quickly and Affordably. Atiz Innovation, Inc., the leader in content digitization, will unveil its latest book scanning solution, BookDrive Pro, this week at the AIIMExpo and Conference in Philadelphia, Pennsylvania. Designed to address the growing movement to digitize bound content and books, BookDrive Pro’s affordable price point lowers the barrier of entry for many of those tasked with digitizing bound content. From service bureaus, deed registries and archivists to enterprise data managers and government entities, the need for a solution to help manage the ever growing volume of bound content is reaching a critical mass. Enter Atiz — whose products have scanned more than 2 million books worldwide. Atiz’s book scanners help those tasked with digitizing bound content get the job done at a price point that they can afford. Priced more competitively than other book scanners, BookDrive Pro is a powerful, cost-effective book digitization solution. By combining digital SLR cameras with a unique v-shaped book cradle, BookDrive Pro is gentle on books and eliminates curvature problems to produce high-resolution scans at up to 700 pages an hour. BookDrive Pro features a user-friendly, ergonomic design; automatic center positioning to ensure consistent borders and lessen manual intervention; a double security locking mechanism; distortion-eliminating even light distribution and standard auto capture to simplify the whole process. Additionally, BookDrive Pro has the ability to scan oversized books — up to A2, newspaper size — and heavy, cumbersome items such as deed registries. Atiz’s innovative approach utilizes high performance SLR cameras as capture devices, making BookDrive Pro the best value proposition in the industry, as it will never become obsolete. “When new, improved camera models become available, users need only to replace their cameras — not the entire scanning system as is the case with other offerings,” explained Warnock. Concurrent with the launch of BookDrive Pro, Atiz is offering optional installation and consulting services to assist in digitization initiatives and ensure smooth integration. New Atiz support system is implimented. No customer email is left behind when it time for a support. This week we’re excited to launch the new support system. When you email us to support@atiz.com your email is assigned a ticket number. You can request to open a tick at our support page. You can track every ticket efficiently. Your email is not left behind. We always focused on improving Atiz website and rolling out great features. It’s a fact: The digitization of bound content is here to stay. With Google’s Book Project, The Open Content Alliance, Project Gutenberg, and others, book digitization on a large scale has become an accepted phenomenon, and the ultimate goal of creating a universal, digital library of all human knowledge is on the way to becoming a reality. That being said, a significant portion of the market who would like to digitize their content has been left behind by being underserved and even neglected altogether. Digitizing books is all the rage these days, with the Kindle 2 being pimped on the “Daily Show,” Amazon allowing its e-books to be read on the iPhone and Barnes & Noble getting deeper into the digital book market. Google can now scan out-of-print and rare books and put them online, after it settled a lawsuit with book publishers in October, and a volunteer effort called Project Gutenberg is trying to turn hundreds of cultural works into 1s and 0s. Read more from Los Angles Times here. Copyright © 2006 - 2012 Atiz Innovation Co., Ltd. All rights reserved.